By The Numbers: pie for everyone! I was on Church of the Larger Fellowship‘s The VUU last week on a segment we called Correlations and Covenants. 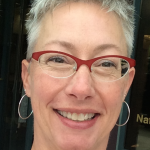 I talked about data and the implications of knowing who we are more clearly. That’s why I love numbers so much. They can break down assumptions and help us see ourselves and our context more clearly so we can make better decisions as to how we change our behaviors and/ or allocate resources and so much more. I’m going to try to set aside Friday’s blog post for tastes of data in form of (mostly) pie charts. What was your assumption before looking at the pie chart above? 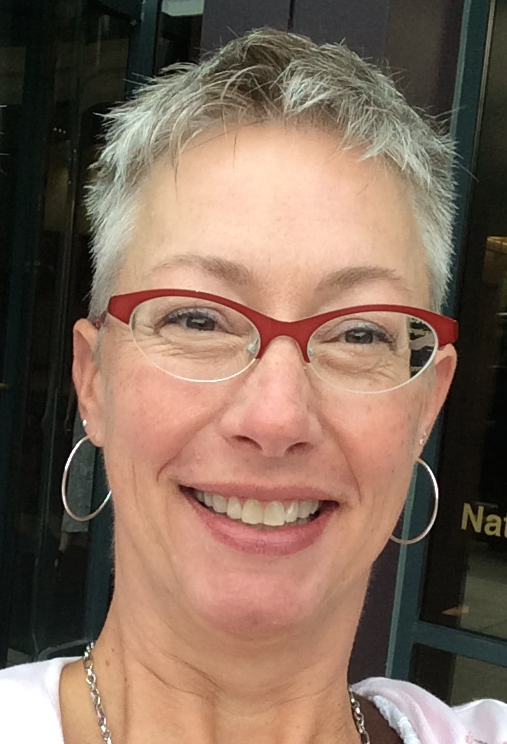 So many leaders at the regional and national level are from mid-size and larger congregations. We often bring our assumptions that most of our congregations are like our own. And look at that! Over two thirds of our congregations have <160 members! 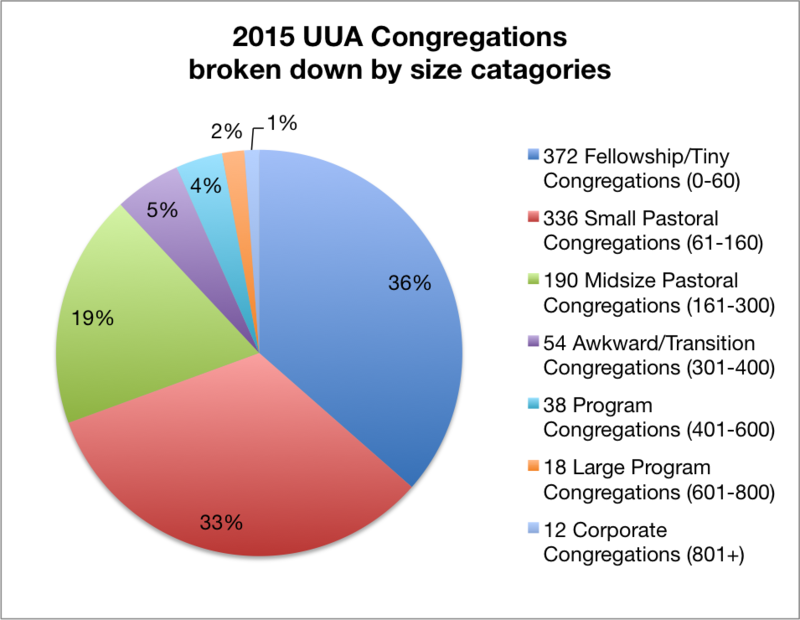 Another common assumption is that most of our adult members attend the large congregations. 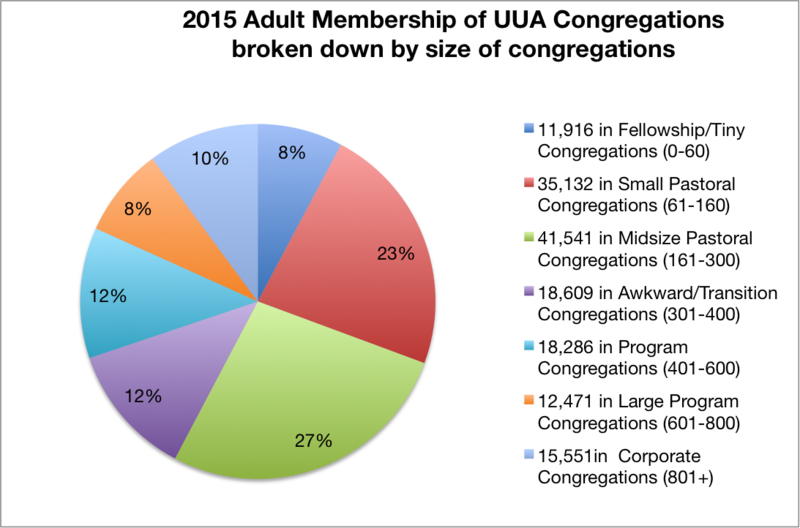 Another way to look at that is assuming that most of our adult membership is carried by large congregations. From this pie chart you can see that most of our adult membership resides in the Small and Mid-Size Pastoral size. The rest of the categories are fairly evenly split. How does this change your concept of who we are as an Association? How does it change your concept of your own congregation in relationship to the collective? I’d love to hear your thoughts in the comment area. I wonder why such a large proportion of our adult church members engage at small and midsize congregations? Roughly 2/3 of our congregations are under 160 members, meaning 2/3 of our Association is made up of smaller congregations. They are often the only option within driving distance and liberal beacons in smaller, conservative communities. That last part is an untested assumption. I just received data that may let us check that assumption. I will report back via this blog.